Between the hassles of my crazy week of work and what not, I have been working on pot holders. I also did a few mug rugs, but those are now lost in my craft room. I even did some of the quilting on the machine I just got. I love my Free Westinghouse sewing machine! It does an amazing job, and I love it! 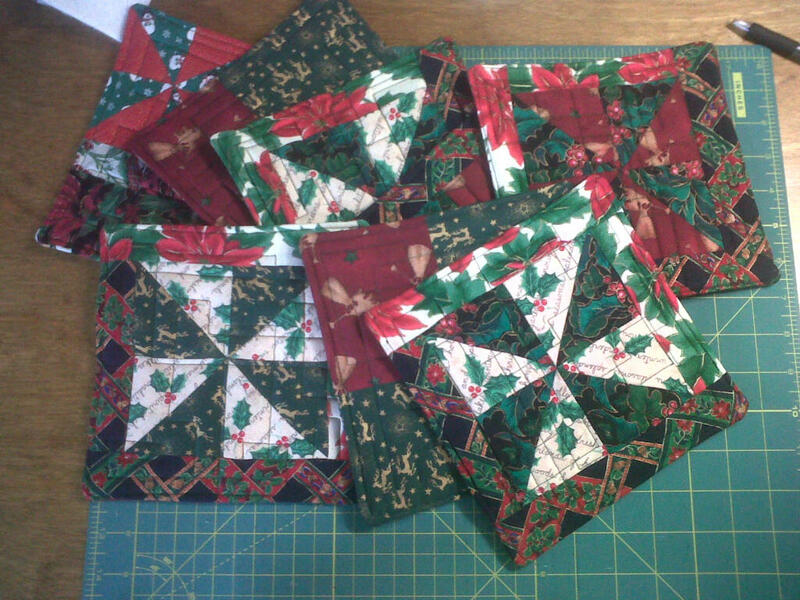 Look at how well it quilted these down! !